PASADENA, CA, USA, April 11, 2019 /EINPresswire.com/ -- Pacific Data Science has launched its newest intelligent solution for commercial real estate and investment companies, The Brain. The first of its kind, The Brain was originally developed in collaboration with Paladin Realty Partners, a leading private equity fund manager focused on institutional-quality real estate investments in Latin America. Built with the same reliability and security that Pacific Data Science is known for, The Brain was designed to manage the nuanced lifecycle and automate the complex reporting workflows around real estate investment and development projects. Randall Loker, Chief Investment Officer of Paladin Realty Partners, said, "This system saves us time, effort and eliminates potential errors and inconsistencies in the data because it automatically does what a whole team previously was forced to accomplish manually. Because the user interface is so well designed, the learning curve was nonexistent and now our staff is freed up to do their best work." The Brain eliminates data duplication and streamlines manual, time-intensive and error-prone workflows—reducing months of back office work to a nearly instant, automated process. In current successful implementations, the platform is able to provide complete tracking of project lifecycles, including physical development, sales, cash flow and more, to provide a birds-eye view of the entire investment portfolio. 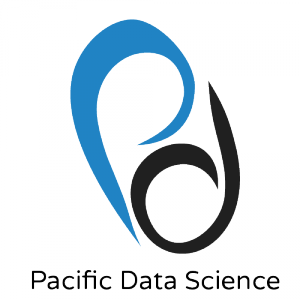 Pacific Data Science was founded by an expert team of data scientists and software engineers in the Los Angeles area. They believe that companies of any size should be able to harness the full power of cutting-edge data science and machine learning without having to navigate that road alone. To solve complex problems for its clients, the team utilizes its wide breadth of expert, high-level experience applying the principles of data science across industries as diverse as aerospace, healthcare, finance and entertainment. www.PacDataSci.com. @PacDataSci.